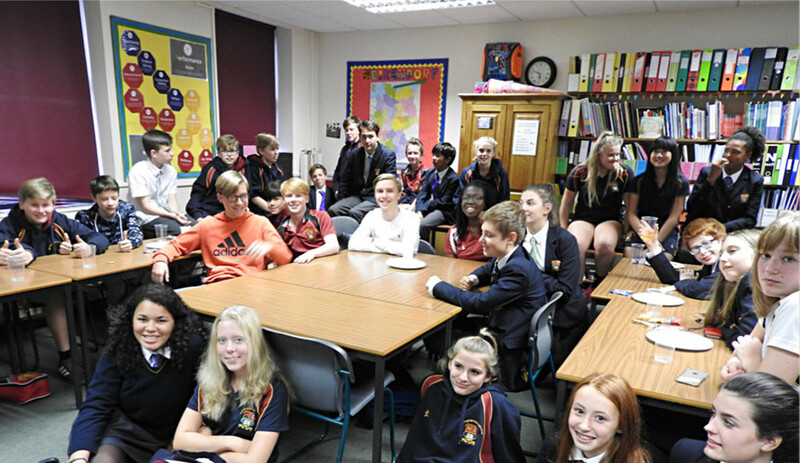 The first Kulturklub of the year had an amazing turnout, from Fourth Formers to Upper Fifths. We were all greeted in German and served ‘Apfelschorle’ (apple juice and fizzy water) and, of course, lots of Haribos and Pretzeln, popular German snacks. I really enjoyed watching ‘Extr@’, a German equivalent of the American sitcom ‘Friends’, as we learnt lots of useful German vocabulary and the comedy was hilarious at the same time! I look forward to the next Kulturklub which will take place in the Spring term. Thank you to the German Department for organising a wonderful evening!